LatinaLista — Go to most towns and cities in the country and you’ll most probably find one section where whites live, another for Blacks and still another for Latinos or other residents of color. 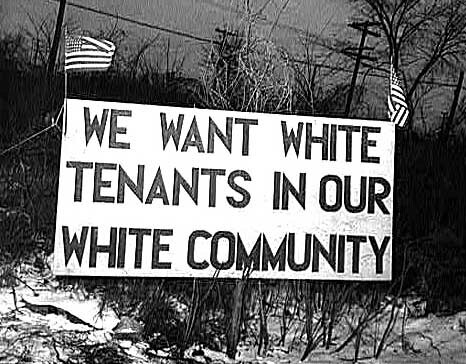 Some small towns were even known as Sundown Towns, meaning that if you were a person of color, you better not be seen outside after the sun went down. This kind of racial segregation and outright threatening discrimination underscores the long history US society has with structural racism. It’s against this backdrop that gives greater validity to new findings coming from a Boston University School of Public Health (BUSPH) study that discovered that states that had a greater degree of structural racism, especially residential segregation, were also more likely to have fatal police shootings of unarmed minority victims. Believed to be the first study of its kind to look at data on the state level of structural racism and fatal police shootings of Black victims, researchers created an index of structural racism indicators, such as residential segregation, economic inequality, employment status, education levels, and incarceration rates. Researchers surprised themselves at the strong correlation revealed in their analysis — the greater the score in any of the index indicators, especially residential segregation, the greater the increase in the state’s ratio of shootings of unarmed black victims to unarmed white victims. Previous Post Does America have a caste system?